In this interview, Glyn Stacey explains the ethical considerations necessary when working with human-derived tissue. In this interview, Glyn Stacey, National Institute of Biological Standards and Control (NIBSC; UK), explains how regulation has developed over the last 15 years and what must be considered when looking forward. 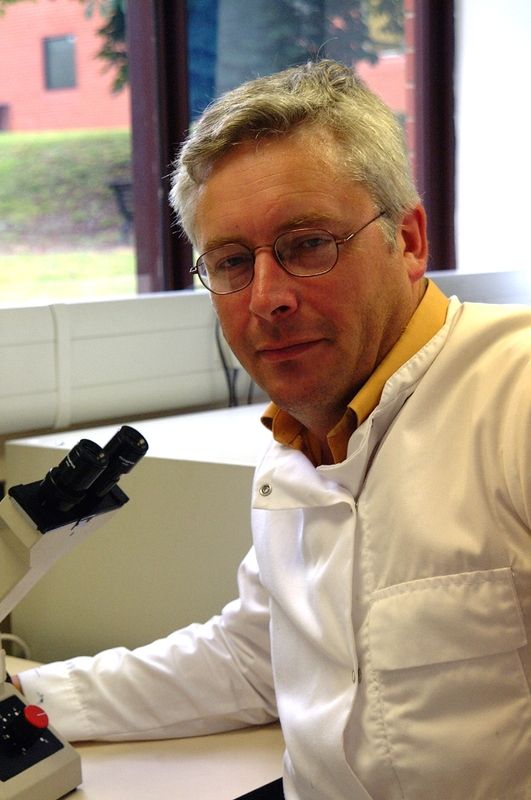 Glyn Stacey joined NIBSC in 1998 as a senior scientist to set up a new cell biology group and is now the director of the UK Stem Cell Bank at NIBSC. Glyn’s background is in microbiology and cancer research and he has worked on the development of cell substrates for the manufacture of biological medicines for over twenty years. His research interests include the banking, processing and characterization of cellular therapies to assure their safety and quality. Glyn has served on numerous steering groups for organizations promoting and funding regenerative medicine. He has also chaired the UK National Clinical hESC Forum and the scientific advisory board for a Public Private Partnership not-for-profit company called Stem Cells for Safer Medicine. His academic roles include member of faculty for postgraduate courses in regenerative medicine at Kings College London and University College London, and he is a visiting Professor at the University of Bedfordshire in the UK. My name is Professor Glyn Stacey and I work at the National Institute for Biological Standards and Control. It’s an institute that has studied the quality and safety of biological medicines for many years and is a designated International Standards Laboratory for the World Health Organization (WHO). Within NIBSC, I look after the UK Stem Cell Bank; we store samples of human embryonic stem cells (hESCs) and other stem cells types that are utilized for research purposes and also those intended for clinical trials. How did you come to work at the UK Stem Cell Bank? My past experience was in microbiology and cancer research; the reason I was working on cell culture was to study the detection of toxins. I initially moved to NIBSC to look at cells used for manufacturing vaccines. In 2002, the opportunity to bid for the UK Stem Cell Bank came up. The Medical Research Council (MRC) and Biotechnology and Biological Sciences Research Council (BBSRC) were funding the establishment of a national Stem Cell Bank which would provide quality-controlled, ethically sourced stem cell lines to national and international researchers and my bid was successful. I’ve been the principal investigator and director of the UK Stem Cell Bank ever since. How has cell therapy regulation changed since you have worked there? The isolation of human pluripotent stem cells, use of T-cells for immunotherapy with recombinant versions and gene editing are making new treatments possible. Currently, new advanced therapies are covered under existing product regulations which came in during the 2000s. The science is moving very quickly and, as we are discovering new kinds of stem cells, the regulation has had to respond and I think regulation will continue to develop over time. The UKSCB forms part of the UK regulatory framework and my team is able to provide expert technical knowledge on cellular therapies which may help develop more opportunities for clinical applications. What are some key features of the UK Stem Cell Bank process and what advantages do they confer? We’re only one part of a larger process. Almost all the cell lines that we stock and distribute are derived at other centers around the UK and in other parts of the world. Therefore, the first and most important step we carry out is initial due diligence. Here we verify the cell lines have been obtained from appropriate sources under the relevant ethical governance and consent. The second step is having a secure and robust banking and processing environment. Our purpose built facilities include state-of-the-art, GMP-specification cleanrooms, a storage facility for ultra-low temperature indefinite storage of cells and dedicated laboratories, all of which are run under a number of quality systems. This combined with our rigorous quality assurance (QA) and quality control (QC) procedures and experience in assuring the safety and quality of biological medicines. 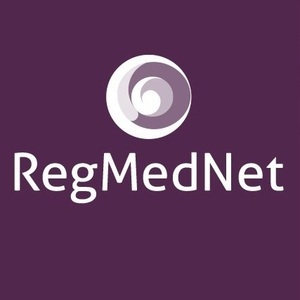 As a part of the UK regulatory framework, we are the best place to provide scientific and regulatory advice on stem cells. How are secure low risk starting cell lines characterized and why are they important? There are three key scientific features related to these cells that we have to understand. One of them is microbiological safety, which is paramount to ensure that we can prevent infection in patients receiving these therapies. This involves recognizing the risks of an increasing range of potential viral infections. As therapies become more complex viruses can be found not only in the cells themselves but also the reagents used to culture them. Another feature is the phenotype of the cell. We need to know and be confident that we have the right cells and that they have the characteristics that are needed for developers to take into clinical applications. The final feature is the genotypic aspects of the cells. We need to know we are working with the correct cell. There is a long history of complications in cell line-based research, in cancer research in particular, where numerous cell lines have been circulating which have been misnamed or switched so researchers are actually using the wrong cell types in certain cases. Obviously, we want avoid that. Genetic stability is another important aspect of genotype; we need to understand the genetic stability of these cells and what elements of those changes that do occur may be significant in terms of their potential tumorigenesis. In addition to those key scientific points, there is another fundamental aspect: traceability. We are able to map a whole cell history and all the components that were involved in developing the cell line including where it was stored and how it was tested and manufactured. Therefore, it is important to avoid any hazards that might lurk in unknown aspects of the cells which may occur in cell lines that have come from a research environment. What are the differences between cell lines suitable for the manufacture of therapeutics and those for drug discovery or research? The most important difference is traceability. For clinical applications you need to have a good handle on the origin of the cells and the reagents. This is important to allow robust risk assessments to be done on the cell lines, so we know what the risk factors might be, where they have come from and what testing is necessary. It also enables us to trace backwards to the original cells if there is an adverse event and check the history of the cell for something that could have led to it. We can then exclude effected cells from the production chain for these therapies if necessary. Another difference is process control. As you would expect there is much greater regulatory oversight of cell lines for clinical applications. This may be too restrictive for any kind of basic research work but is important to improve reliability, reproducibility and traceability of the cells for clinical use. In addition to those covering cell lines for clinical applications, there are a number of regulatory requirements for stem cell assays that might be used in product safety testing. At the UK Stem Cell Bank, we’ve been involved in a number of initiatives that look at developing good cell culture practice and support guidance for good laboratory practice which is used in the testing procedures which are officially regulated. We’ve recently been involved in a new Organization for Economic Co-operation and Development (OECD) initiative to establish good in vitro methods. The OECD is an international organization that helps coordinate various scientific and technical issues to provide international harmonization. What role do ethics play in the regulation of cell lines and potential cell therapies? This is a complex area. In the early days of embryonic stem cells, there was a lot of concern in a significant proportion of the population about the ethics of using human embryos for research purposes. In 2001, a law was introduced that enabled researchers to not only isolate ESCs from human embryos but also to utilize them in a broader range of research. The UK Stem Cell Bank was launched to provide a mechanism for monitoring how those cells were being used and ensure that research was being conducted in the ‘right’ way. When iPSCs were discovered, some people thought that would be the end of any ethical issues. This was a bit naïve, as any research being done with human cells has associated ethical issues. These ethical issues require us to have appropriate best practice with any cell line we’re working with which has been derived from human tissue. We need to ensure that the public can be confident that the scientists are carrying out their research in an appropriate way and not in a way that the general public would find distasteful. These ethics are very important for companies in particular. They don’t want their reputation to be tarnished by being identified as having used cell lines which haven’t been donated for research purposes. There are other issues when you start using iPSCs. These cell lines may have been derived and genetic data generated from patients with very rare diseases who are still alive. In this case, they want to be reassured that they will retain their anonymity. That can be quite difficult in an age where data is made broadly available on the internet. How do you think cell therapy regulation could evolve in the future? Regulation is evolving all the time but we have to be careful not to be too reactive as that can lead to bad regulation. All regulation needs to be based on good science, which is also critically important. It’s therefore important that any regulation is developed carefully. An issue that I’ve come across recently is a trend to look at regulation used in other areas, for example vaccine manufacturing, and apply them to cell therapy. Whilst the key issues that are raised are very similar, the nature of the cells and the applications are quite different, so new regulation needs to be developed in a sophisticated way with a good scientific knowledge of the cells you’re working with. The WHO has already started to consider the issue of stem cells for manufacture and treatment. They included a section on stem cells in their guidelines on the evaluation of cell substrates for the production of biologicals that was developed by the WHO and the International Alliance for Biological Standardization to look at what standards are needed in the cell therapy area. This is a dynamic area, with new standards organizations developing as well. At NIBSC, we’re trying to ensure that all the different actors are coordinated through supporting a series of international workshops. This is a very exciting area; it has been consistently changing ever since I started back in the early 1990s. The UK Stem Cell Bank is funded by the MRC and BBSRC.